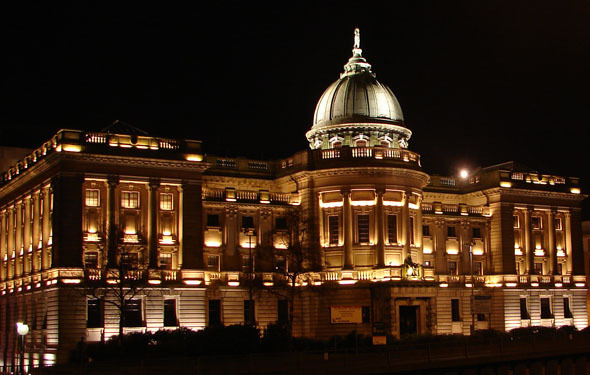 The Mitchell Library was established with a bequest from Stephen Mitchell, a wealthy tobacco manufacturer, whose company, Stephen Mitchell and Son, would become one of the constituent members of the Imperial Tobacco Company. It contains the largest public reference library in Europe, with 1,213,000 volumes. The original North Street building with its distinctive copper dome surmounted a bronze statue by Thomas Clapperton, entitled Literature, often referred to as Minerva, the Roman goddess of wisdom, opened in 1911. 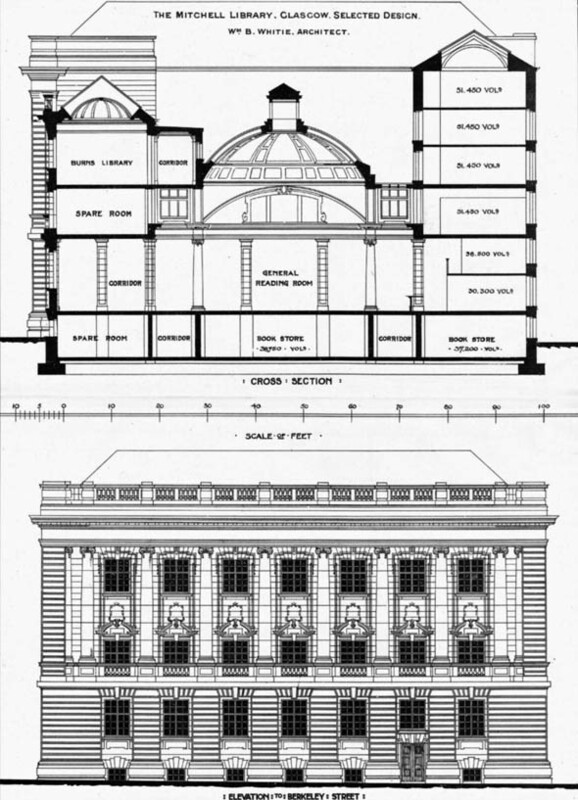 The architectural competition for the library’s design took place in 1906 and was won by William. B. Whitie. His original design does not show a dome. The vast majority of the library’s collection however is housed in the Extension Building, which was completed in 1982. Located to the west of the original building, it also incorporates the Mitchell Theatre, designed by James Sellars and opened in 1877. With a massive and striking classical facade, it included a Grand Hall which could hold 4,500 people, and a large ballroom. The building was however gutted by fire in 1962, although the facade survived.